The National Association of the Remodeling Industry - Metro DC Chapter is 'Rockin It' for their Annual Trade Show in 2014. 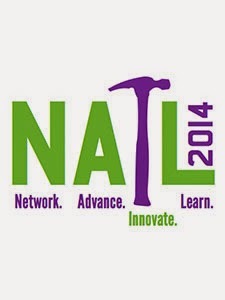 NAIL 2014 - Network. Advance. Innovate. Learn. is a business growth & learning opportunity for your entire team with one-on-one marketing consultations, exhibits, CEU credit programs, networking reception, raffle drawings and complimentary lite dinner reception are part of this one day event. Complimentary parking included. Chuck is leading authority and you can learn strategies for growth, success and using the internet effectively in your marketing. Atty Sara Kropf and NARI member Chris Deitz: Gain insights into how to avoid your own social media pitfalls and she will review your legal rights as a business owner.